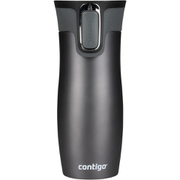 Contigo’s Cortland Water Bottle uses AUTOSEAL® technology that guarantees a 100% leak and spill-proof on-the-go drinking experience. The AUTOSEAL® closure seals automatically between sips: press to sip, release to seal. A button lock prevents any accidental pressing of the AUTOSEAL® button. 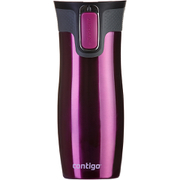 The 100% spillproof bottle has a carabina clip for convenient carrying and the drinking spout has a protective shield to keep it clean and germ-free. 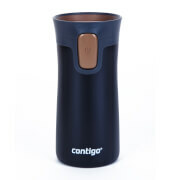 The mug is made from durable, shatter-proof, BPA-free Tritan that repels stains and odours and is dishwasher safe in the top rack.